There are so many spectacular destinations around the world, but a trip to Bali will make you believe that you have finally arrived in paradise. This tropical island will allow you to choose exactly what you want to do, whether it is surfing the waves, exploring the ancient monuments, or appreciating the rich culture of the area. When you arrive in Bali, you are simply not going to know what to do first! After all, there is so much to choose from and it is all going to be so tempting! However, if you have taken the time to plan a tour with Culture Holidays, you will not need to worry because they will have all the details planned out for you. You will begin by visiting Kintamani Village, which offers breathtaking views of both Mount Batur and Lake Batur. This infamous village is even more popular every third day when it is market day on the main street. Vendors arrive with their wares and you can wander around until you find the perfect items to take home with you. While at Kintamani Village, you will want to take the time to see the multiple temples that are within the area. The favorite of many is Pura Ulun Danu Batur, which happens to sit on the rim of the crater. 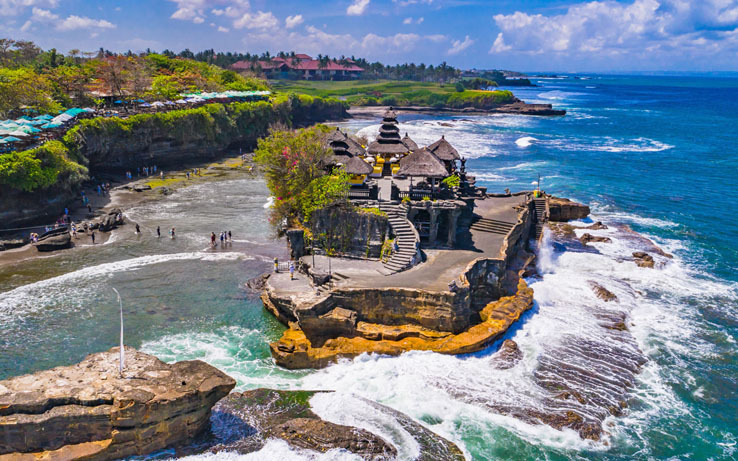 Other temples on Bali that you must see include UluwatuTemple and Tanah Lot Temple. Uluwatu is precariously placed on the edge of a rock and from there, you have spectacular views of the sea. The best time to visit Tanah Lot Temple is later in the day, as the sunset is said to be better there than anywhere else on the island. No trip to Bali is complete without a visit to Turtle Island, where rare and endangered turtles and other animals live amongst the soft white sand and the beautiful trees and foliage. Everyone who wishes to go to this island must travel there by boat with a tour guide. Most of the animals on the island are so used to people that they will let you approach them and even hold them, but you may want to check with your guide first to make sure that you are safe in doing so. If you are ready to choose Bali for your next fabulous vacation destination, you will want to contact me to take advantage of the extraordinary offer that I have available for Culture Holidays tours. When you book exclusively with me for these tours, you can receive your flight and hotel included for one very low price. That ensures that you can see the beauty that Bali offers without breaking your vacation budget now or in the future! Don’t wait for the time of your life when you can get planning on your next vacation today. Contact me to start your booking today at Tie’s Tours and Travels (832-308-0776). Tieasha Waddy, author and owner of Tie’s Tours and Travel, resides in Houston, Texas and works as your friendly travel agent and wedding planner who loves sending travelers from all over on memorable journeys that are budget friendly, stress-free, and most of all–fun!